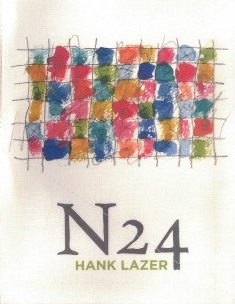 Hank Lazer’s new book, N24, continues his fascinating investigation into the relationship between poetry and philosophy. By turns—puzzling and revelatory, now contemplative, now celebratory—this slender volume is both a disciplined re-reading of Merleau-Ponty’s core texts and a visionary re-enchantment of the written page itself. Consider the project: to keep a notebook of hand-written “shape poems” composed while reading foundational works of French phenomenology. Some poems respond more or less straightforwardly; others are lyric interpretations and interpolations. Because no two poems are shaped the same, Lazer reinvents the question of formal invention on every page, thus implicating the poems themselves in his own phenomenological inquiry. These “lines” are embraced on the right by Merleau-Ponty in a crescent of quotation: “that ambiguous space where nonreflective perception moves at its ease, though always on the margin of reflection.” Lazer here establishes the terms of his ongoing dialogue with Merleau-Ponty, with his own perceptions, with the physical properties of the page, and finally with the metaphysical enterprise that subtends all of his work. In fact, this style of rigorous experimentation is the central provocation in Lazer’s method of “serial heuristics.” And the result is never less than delightful. These poems reel and whirl splendidly across the page just as Lazer’s language torques and interrogates our received understanding of poetry. N24, a beautiful, complex, and most-singular book is decisive evidence that poetry, like philosophy, is present both to the contingent objects of knowledge and to the necessary language of truth. 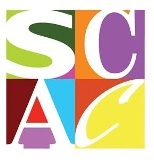 Carey Scott Wilkerson is author of two poetry collections, Threading Stone and Ars Minotaurica, and the plays Seven Dreams of Falling, Ariadne in Exile, and The Lydian Mode.